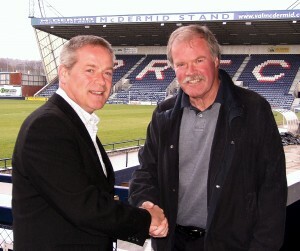 David Wann (right) has been announced as the new Supporters Director for Raith Rovers. The role of the Supporters Director is to help make sure the voice of fans is heard in the Starks Park boardroom and help with the overall running of the club. He replaces the current Supporters Director Tom Phillips (left) after he completed his successful two year spell on the Board. David was formerly the Deputy Chief Executive of the Scottish Further and Higher Education Funding Council and brings with him wide experience of working with Government, Academics and the business community. He said “I have been a Raith supporter for 50 years attending most home and away matches during the good times and the bad. I regard this role as a privilege and am looking forward to committing myself to carrying out the responsibilities of the Supporters Director”. 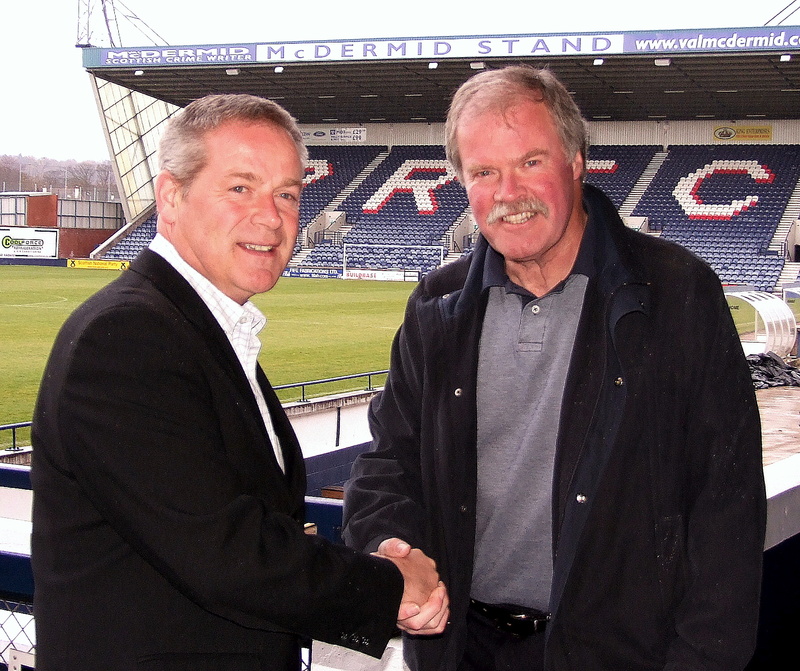 Supporters Trust Chairman Alan Russell welcomed the news. He said “David has been a Supporters Trust member since we first started and it is good for the Trust and the whole football club that we have someone both with his experience and who passionately believes in fans having a greater say in how the club is run”. He also paid tribute to David’s predecessor Tom Phillips. “Tom has put in an incredible effort the last two years. The role of Supporters Director isn’t an easy one but he has done a fantastic job”.